When choosing a vision center in the Somerville, MA area, individuals will ultimately want to make an appointment with Parrelli Optical. With a number of eminently qualified optometrists to choose from, men and women can quickly procure prescriptions that will surely improve their eyesight. Both glasses and contacts will be available, and patients will ultimately be able to choose frames that are elegant and stylish. 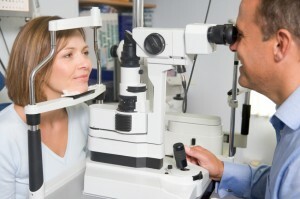 In nearly all cases, they will be given an eye exam at the first appointment. Once optometrists have the results, they can put together a treatment plan that should allow patients to see more clearly going forward. The qualified eye doctors at Parrelli Optical are capable of uncovering a number of unsavory health conditions. By examining the eyes in detail, optometrists will be able to diagnose glaucoma, cataracts, and other abnormalities. In some cases, blood pressure and cholesterol problems will also be evident. If any serious health problems are noted, men and women will be advised to visit a specialist in the appropriate field. Ultimately, optometrists are quite capable of heading off health conditions that would have grown perpetually worse without proper treatment. Individuals who are outdoors quite a bit might also be considering prescription sunglasses. With the appropriate lenses, people can avoid ultraviolet rays. This should ultimately keep their vision intact for many years. Proper eye protection will also help guard against cataracts later in life. Optometrists might also want people to wear glasses while they are performing specific activities. Bifocals, for example, might be worn while reading books. Likewise, individuals who are having trouble seeing clearly at night might be advised to wear glasses when driving. By visiting the best vision center in the Somerville, MA area, local residents can count on immaculate eyesight in the years ahead.